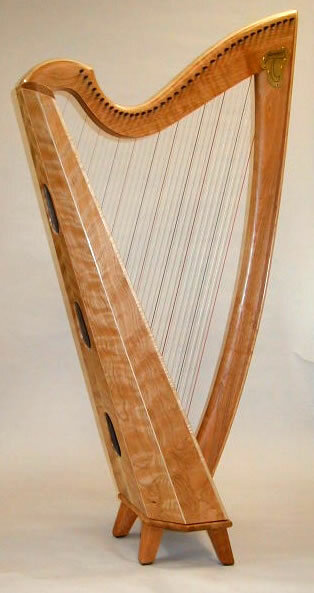 Cherry wood is unique in that it darkens with age to a beautiful rich amber color. Here is a new Cherry Swan on the left and an old Cherry Swan on the right. 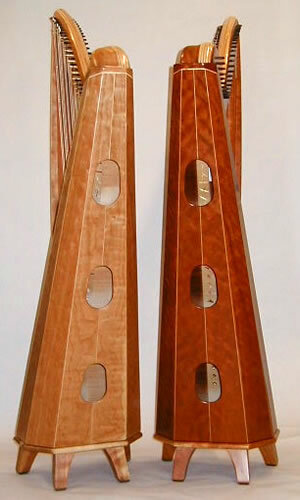 We usually use spruce soundboards on our Cherry harps although we have also used redwood soundboards. 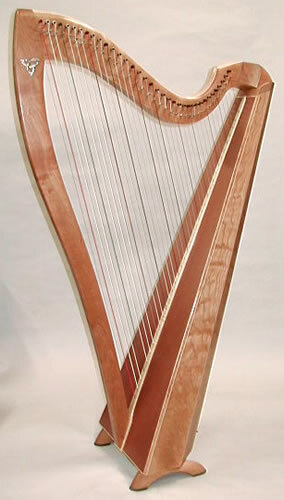 Both the Swan and the Cygnet produce a warm, and sweet tone with a rich bass that is very pleasing and mellow. Some of the Cherry woods above might be considered deluxe and there would be an extra charge for it. If you're interested in premium Cherry, let us know. We can show you what we have by way of a private webpage. 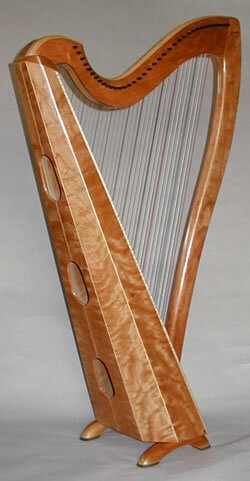 There is a $100 minimum for looking that will be applied to the price of your wood choice.